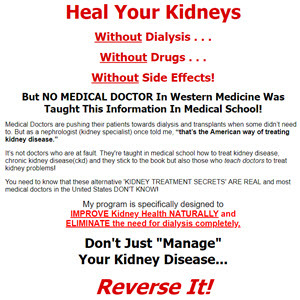 Your kidneys have tremendous excess capacity to do their job. In fact, you can lose more than 50 percent of your renal (kidney) function and remain healthy. However, serious health problems occur when renal function drops to 20 percent, and either a kidney transplant or dialysis (see box on page 292) is required if renal function drops below 10 to 15 percent. Once nephrons (the filtering units of the kidneys) have been destroyed, either suddenly through injury or poisoning or gradually after years of kidney disease, they can never be regenerated or repaired. Diabetes and hypertension (high blood pressure) are the two leading causes of kidney disease. In diabetes, blood flow through the kidneys increases, causing the kidneys to enlarge, and the excess sugar in the blood damages the glomeruli (tiny blood vessels that are part of the nephrons). High blood pressure can cause kidney disease by damaging the small blood vessels needed for filtering and reabsorption of fluids. Conversely, hypertension can result from kidney disease if blood flow through the kidneys is obstructed or slowed, resulting in the release of hormones that cause blood pressure to rise. 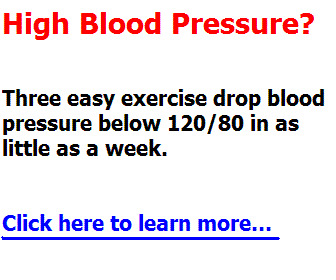 See page 365 for more information about diabetes and page 217 for more information about hypertension. A healthy kidney removes extra electrolytes and other minerals from the blood. Normally the chemical composition of urine and prompt urination prevent these electrolytes and minerals from forming crystals and building up on the inner surfaces of the kidney. Some crystals that form may pass through the urinary tract unnoticed. However, others may accumulate until they have formed kidney stones. Why kidney stones form in some people and not in others remains unknown. Men, especially white men, develop kidney stones more frequently than women. Kidney stones usually develop between ages 20 and 40, and once one stone has been diagnosed, more are likely to develop. A family history of kidney stones increases the risk, as do certain disorders of the kidney and recurrent kidney infections. 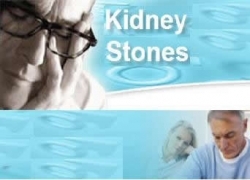 Other diseases (such as gout and chronic inflammatory disorders) and certain medications (such as diuretics and calcium-based antacids) also can cause kidney stones. The warning signs of kidney stones are unmistakable. Stones that are not causing symptoms may be found by chance on an X-ray or ultrasound image. Most kidney stones can be passed through the urinary system by drinking plenty of water (2 to 3 quarts per day), and taking over-the-counter pain medication as needed. If you ever pass a kidney stone, be sure to save it for testing: knowing the composition of the stone will help your doctor determine the appropriate treatment and recommend steps to prevent future stones. Surgery is rarely needed to remove or to break up kidney stones. However, if a stone does not pass through the ureter and blocks urine flow, or if a stone causes ongoing urinary tract infection, medical treatment will be required. Extracorporeal shockwave lithotripsy (ESWL) passes shock waves through the body until they strike the stones and reduce them to the consistency of sand so they can be excreted in the urine. Lithotripsy usually is done on an outpatient basis. The procedure is performed using either intravenous sedation or epidural (spinal) anesthesia. Some lithotripsy devices require the patient to be in a water bath during the procedure, while others require that the patient lie on a soft cushion or pad.